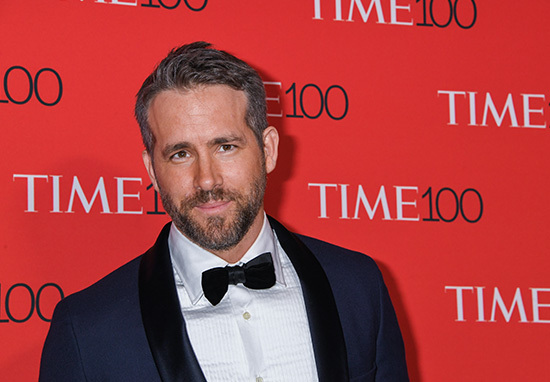 If you have any sense about you, you’d have been stalking all forms of social media yesterday to see what hilarious quip Ryan Reynolds would come out with on his birthday. The Canadian actor turned 42 yesterday (October 23) and you’d better believe he had something funny to say about it. Although this year, the hilarity has come not only from the man himself (which I will get to later), but also from fellow Hollywood actor, Hugh Jackman. Wolverine himself wished the Canadian actor a happy birthday in a very Reynolds-esque way – sarcastic with just a touch more sarcasm. Tweeting a picture of the pair embracing in a loving hug, you’d be mistaken if you thought this was just a sweet, heartfelt birthday wish to his friend. The picture shows Reynolds in his Deadpool costume while Jackman is casually dressed in a dressing gown, which is reminiscent of the time earlier this year when Hugh’s Twitter video got interrupted by Deadpool. In the, now viral video, which was posted back in April, Jackman was apparently attempting to wish a friend a happy birthday but kept getting interrupted by Reynolds – dressed as Deadpool – singing in the background. At the time, it raised questions as to whether Jackman would appear in Deadpool 2, which was released just a month later in May. But alas, it was not meant to be. I’m personally still keeping my fingers crossed for a Deadpool 3 cameo though. The pair have famously trolled each other online over the years, making it known their friendship is one which is based on taking the mick out of each other. Which, let’s be honest, is the best kind of friendship. And Reynolds wasn’t letting the post go unnoticed. In true Reynolds fashion, he quickly came back with a witty response, calling Jackson a ‘monster’ and saying he’d lied about being from Australia. The birthday hilarity didn’t stop there though, as Reynolds also had something extra up his sleeve. He treated his Instagram followers to a sneaky glimpse into his childhood by sharing an adorable picture of his younger self and his dad. In the picture, Reynolds is sitting in front of a birthday cake – cheeky grin and all – with his dad proudly sitting next to him. As you may have guessed though, his caption wasn’t a traditional nostalgic one. Where would be the fun in that?! Happy Birthday to me. Or as Dad used to affectionately say, ‘the condom broke’. Whether or not his dad actually used to say it to him, it’s easy to imagine this kind of banter in their household – simply because Reynolds has always had that air of hilarity surrounding him. Hope you had a good one Ryan!